By this point, most organizations don’t have to be convinced about the need to go digital. Technology trends like the Internet of things (IoT), big data and machine learning are reshaping entire industries, and companies need to evolve with the digital era to stay relevant. The more pressing question is how to make digital innovation a reality. The CIO’s biggest challenge driving digital innovation is not technology, but leading change. According to Gartner, the biggest barriers to leading this change are skills and resources, funding, culture and structure of the organization, and IT-business alignment. Digital transformation requires new approaches, and according to Forrester, only 27% of today’s businesses have a coherent digital strategy that sets out how the firm will create customer value as a digital business. Follow these 10 digital transformation influencers to join the right conversations and learn more about how to implement a successful digital transformation strategy for your business. 1. 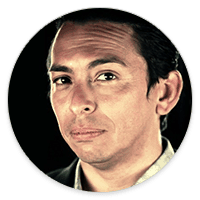 Brian Solis Brian is a Digital Analyst and futurist at Alitmeter, a Prophet Company. He is also an award-winning author of X: The Experience When Business Meets Design, and a keynote speaker where he shares his vision to help organizations understand the dynamics and rise of digital transformation. He studies disruptive technology and its impact on business and society. Brian is unique in that he tends to humanize technology, thereby providing new insights to executives. His focus is on digital transformation, customer experience, culture, and the future of industries, trends and behavior. Check out his website to learn more about him. Follow him on Twitter and LinkedIn for more information on digital transformation. 2. Ronald van Loon As Director of Advertisement, Ronald helps data-driven companies generate value. He is considered a Top 10 influencer in Big Data, Data Science, IoT, and AI. He frequently writes articles and hosts webinars on big data, IoT, data science, analytics, and other digital transformation topics. Ronald has a LinkedIn group called “Awesome Ways Big Data is Used to Improve Our World”. Check out his website to read his articles. 3. Holger Mueller Holger is a VP & Principal Analyst at Constellation Research with a focus on fundamental enablers of cloud, IaaS and PaaS, Big Data, Analytics and SaaS development with an emphasis on applicability to the practitioner. He is also a frequent blogger on “Enterprise Software Musings by Holger Mueller”, where he blogs on all things enterprise software and how it furthers digital transformation. Dr. Craig is a leading Techpreneur and Technology expert covering over 28 years of Fortune 1000 technical and innovation projects. He is a Big Data subject matter expert, a technology and business consultant, and philanthropist. He specializes in offering advice without much of the technical jargon and thereby helps solve the everyday challenges of companies and professionals. You can view his website here to connect with him and follow his latest blog posts. Rob is a Transformation Advisor and Founder of CXO Transform, a platform designed to help leaders increase their ability to steer their business into digital economy success. Rob provides advice and guidance to multi-national business and technology leaders, enabling them to successfully orchestrate large-scale digital business transformation. He has spent over two decades helping some of the most well-known companies globally take commercial advantage of technology. Onalytica has ranked Rob as the world’s 3 most influential digital transformation individual and Red Hat has listed him as one of the top 20 digital transformation Twitter accounts to follow. Learn more about Rob on the CXO Transform website and check out his blog here. Maggie is a Digital Transformation Leader and CMO at Aeroplan, a data-driven marketing and loyalty analytics company. She is also a speaker on digital transformation and leadership, and founder of Social Media Group, the world’s first social media consultancy. As a senior B2B and B2C executive, she has successfully bridged the gap between startups and scaling to large enterprises by collaborating across teams to empower, support, and guide people to drive extraordinary results. Previously, Maggie worked at SAP where she successfully executed a three-year board-mandated digital transformation project that redefined its digital channels. Follow her on Twitter and LinkedIn for more information on digital transformation. Greg is a bestselling author, speaker, and advisor who frequently contributes to the Harvard Business Review and other A-list publications. He helps leading organizations overcome disruption through impactful programs and powerful tools he developed by researching the world’s best innovators. Prior, he spent over two decades as an accomplished senior executive and CEO. He currently advises companies on designing their own innovation playbooks to overcome disruption and to crush the competition. View his complete list of programs on his eSpeakers profile to learn more. Michael is an industry analyst, keynote speaker and the host of CXOTALK. He is ranked the #1 CIO influencer among all industry analysts according to Apollo research, 4 most mentioned globally by IT leaders on Twitter according to research by Robert Half, and has conducted hundreds of live interviews and panels on video and at conferences. As a columnist for ZDNet, Michael has written over 1,000 articles on topics related to innovation, digital disruption and leadership. His work has been mentioned more than 1,000 times in major newspapers, television, radio, trade publications, presentations, academic dissertations, blogs, and other media. Michael has been quoted in about 50 books, published in the Wall Street Journal, and is syndicated on important technology websites. Dion is a Digital Thought Leader, CXO Advisor, IT Expert, professional speaker, and author. He also frequently participates on ZDNet as an analyst. As a veteran of enterprise IT, Dion has been working for more than 24 years with leading-edge methods to connect business and technology. He is an internationally recognized thought leader, IT expert, business strategist, enterprise architect, a prolific author on the convergence of business and technology, and frequent keynote speaker. He works with Fortune 500 and Global 2000 leadership teams to drive successful change with emerging digital methods including cloud computing, data centers, digital business models, Internet ecosystems, and the future of work. Recently he was identified as one of the top 20 people IT leaders mention most, according to research by Robert Half. You can view his website here to follow his latest articles and interviews. Fauscette is the chief research officer at G2 Crowd, an online B2B software and services review community where people can connect and share experiences about B2B software. At G2 Crowd, he leads the research department by analyzing trends from their data-set of nearly 400,000 software reviews including his Digital Trends of 2018. Prior to joining G2 Crowd, Michael was a lead senior analyst at the technology market research firm IDC. He also held senior consulting and services roles with technology vendors such as Autodesk, Inc. and PeopleSoft, Inc. Michael is also a published author, blogger, photographer and established industry thought leader on emerging trends in business software, digital transformation, and customer experience strategies. For more guidance and a best practices-based approach to getting your digital transformation underway, download our guide to digital execution.